In the first of two autumn tasting dinners the chefs till be working with delicious seasonal ingredients. Expect wild mushroom and truffle flavours plus the best produce from our British orchards. The Tasting Dinners remain relaxed in ambiance but the food is that bit more special, an opportunity for the chefs to show off perhaps? The reviews are always outstanding! 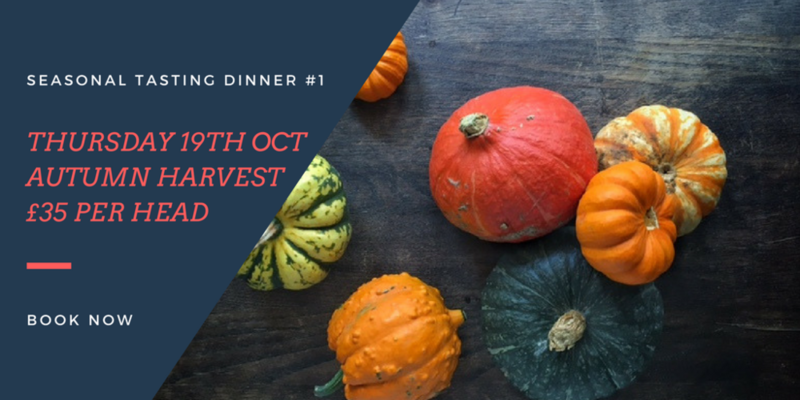 To book a table for either date email Fin@thebunchofgrapes.com or book online for the date you'd like to join.